Deadline for submission of applications is 05th March, 2018. REPORTING OFFICE : ILALA (3), LINDI (3), MOROGORO (12), SINGIDA (1 ) & DODOMA (3) TANGA (5), TEMEKE (7), KIGOMA (1), KINONDONI NORTH (3),KINONDONI SOUTH (11 ), NJOMBE (1), MTWARA (2). a) Constructs and maintain distribution lines network in accordance with the company procedures and standards. REPORTS TO : SHIFT ENGINEER/SUPERVISOR. REPORTING OFFICE : 60MW NYAKATO POWER PLANT (MWANZA). Responsible maintenance of generating engines and associated systems to ensure they are operating properly. a) Troubleshot and rectify fault on engines. b) Daily inspection of engines and it’s auxiliaries for smooth operation. c) Carry out plant operations, taking periodical readings and report any defect or operational abnormalities. d) Assist Engineer/Technician during execution of planned and unplanned maintenance activities. e) Ensure engines surroundings are neat and clean all the time. ▪ Trade Test Grade III, II or I in Motor Vehicle/Automotive Mechanics from VETA or any other from recognized institution. ▪ At least one year experience in service of heavy duty engines. REPORTING OFFICE : 60MW NYAKATO POWER PLANT. Responsible for installation, test, troubleshoot and repair electrical wiring, fixtures, control devices and related equipment in a manufacturing environment and perform preventative maintenance on all equipment and components in order to ensure the continued safe, efficient and effective operations of all equipment and fixtures utilized by the organization. a) Install, test, maintain, troubleshoot and repair electrical wiring, fixtures, control devices and equipment. b) Read and interpret drawings, electrical code specifications and schematics in order to effectively troubleshoot, maintain and repair equipment. c) Diagnose, locate the cause of, and repair malfunctioning systems and components using test equipment. d) Perform preventative maintenance through inspection of electrical systems, equipment and components. e) Maintain accurate and up-to-date maintenance records. f) Test electrical systems and continuity of circuits in electrical wiring, equipment, and fixtures. g) Work on other electrical projects as required. h) Ensure all work performed adheres to all relevant organizational, provincial and safety regulations, codes and specifications. ▪ Trade Test Grade I/II/l III in Industrial Electricity from VETA or any other recognized Institution. ▪ Secondary education certificate Form IV. ▪ At least one year experience in service of Industrial Electricity. Responsible for managing store activities, controls stock and issue of materials for smooth operation in the Regions and Zone level. a) To manage and coordinate all stores processes in the regions to ensure availability of materials, tools and equipment. b) To advise Accountant regarding store matters to ensure adherence to the Company and public stores regulations. c) To ensure there is proper maintenance and control of stocks of materials for efficient issuance and delivery of the same. e) To produce monthly reports and returns in order that the management gets informed of the regional and zonal stores performance. f) To ensure stores data (in all forms) are kept and controlled to prevent fraud and misuse. Responsible for implementing all Human Resources functions in the Plant/ Region to promote and implement HR policies and strategies for the entire Plant/ Region. a) Assist in managing staff performance in the region/plant so as to bring about intended business results. b) Assist in coordination of staff recruitment and selection process to assist the Company to acquire able and Competent Human Resources. c) Analysing training needs in conjunction with departmental requirements so as to train staff appropriately. 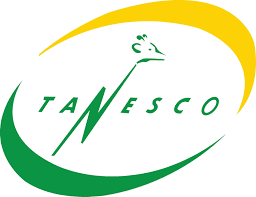 e) Ensure employees’ documents are properly kept in files for safe custody and updation of TANESCO Human Resources information System. f) Preparing Human Resource reports on weekly, monthly, quarterly basis and as may be requested from time to time. g) Provide information and assistance to staff, on human resource and work related issues. h) Ensure that administrative services are maintained to meet Company’s requirements and standards. i) Assist in maintenance of harmonious industrial relations at work place. ▪ Bachelor Degree in Public Administration /Human Resources Management from recognized Institution. ▪ Good knowledge on Tanzanian Labor Laws. i) To update all financial data in the appropriate systems to ensure proper management and control of financial information for decision making. WORK STATIONS : KAGERA (1), ILALA (2) & KINONDONI SOUTH (1). a) To supervise billing, data entry, finance, supplies and meter reading sections to avoid incorrect billing and unnecessary adjustments of the bills. b) To ensure safe custody of cash and daily banking activities in the Districts/Regions are done properly. c) To be responsible for the correct operation and allocation of works orders and keep its records. d) To be responsible for timely preparation of monthly quarterly and annual accounts for statutory audit. g) To be responsible for closure of works orders and prompt submission of certificates to Head office. h) To process payments in accordance with the terms of payments and availability of funds. i) To ensure that daily collection received from the cashier is banked on the next day, and keep in safe custody all documents related to banking. j) To ensure that Value Added Tax (VAT) withholding tax on goods and services rendered including city levy are properly deducted and remitted to the government and respective council on time. ▪ CPA (T) is an added advantage. WORKSTATIONS: MBEYA (1) & KINONDONI NORTH (1). a) To receive materials from Suppliers to ensure there is conformity to specifications, quality and quantity correspond to given specification and storing the same in a safe place. b) To issue materials by insuring the quantity and material issued corresponds with the approved store issuing voucher. c) To post issue vouchers to ensure stock balance corresponds with received/issued items at all times. d) To update stores transactions in appropriate business systems to ensure correct data management and control to facilitate business decisions. ▪ Must be registered by PSPTB or any relevant professional body. a) Receiving of materials from suppliers and ensure that the quality and quantity correspond to the given specification and store in a safe place. b) Issue materials by insuring that the quantity corresponds with the approved store issuing voucher. c) Posting of both receive /issue voucher in the bin cards to ensure stock balance corresponds with received/issued items. d) Key in materials in iSCALA system to ensure correct data control. e) Carry-out Local Purchase to ensure that the items purchased meet value for money. f) To conduct periodic stock checking and stock reconciliation. ▪ Ordinary Diploma Procurement & Supplies Management or equivalent from recognised institution. a) Manages and coordinates all procurement processes in the region to ensure that availability of materials, tools and equipment. b) Advises the regional manager regarding procurement matters to ensure adherence to the public procurement regulations. c) Maintains and controls stocks of materials to ensure efficient delivery and issues of the same. d) Prepares transport budget for the region so that the transport fleet is available throughout the year. e) Plans, monitors and controls the activities of members of department in order to ensure the most effective utilization of resources and achievement of objectives and targets. f) Generates monthly reports and returns in order that the management gets informed of the regional performance. WORKSTATIONS: ILALA (4), DODOMA (1 ), LINDI (1), LAKE ZONE OFFICE (MWANZA) – (1), ,DSM & COAST ZONE OFFICE – (5), NORTH ZONE OFFICE (TANGA) – (1), TEMEKE (2), KINONDONI SOUTH (1) KINONDONI NORTH (1). b) Maintains accurate, up-to-date records on trip sheets, transportation forms, vehicle maintenance, incident reports, accident reports, vehicle condition reports and other records for proper management of vehicle and management decision. e) To perform minor maintenance works on assigned vehicles to ensure the vehicle is in good condition all the time to support business operations in the region. f) To maintain fuel consumption of the assigned vehicle and reports all abnormalities to the relevant supervisors. g) To monitor the schedule for minor and major vehicle maintenance to avoid service regular interruptions. Manage and maintain the office of the Senior Manager and ensures smooth operations that reflects the business objective of the Department. a) Provide secretarial and administrative support to Supervisors and other offices when needed. b) Respond to all enquiries to ensure informative replies to stakeholders. c) Make travel arrangements for the Manager and other staff in the department. d) To devise and maintain office systems, including data management and filing. e) To deal with incoming letters, emails, parcels and post, often corresponding on behalf of the Supervisor. g) To ensure appropriate systems and processes are developed and maintained to support effective and efficient day to day running of the office. h) To organize meetings, including notification to participants, preparation of meeting papers and provide general assistance during meetings including but not limited to taking minutes when requested/where necessary. i) To maintains office equipment to ensure they are in good order and report any fault to supervisor timely. j) To manage purchases and expenditure of the respective Office ensure adequate availability of office supplies at all times. ▪ Diploma in Secretarial studies from recognized institution. ▪ Certificate of Secondary Education (Form IV and/or VI). ▪ Typing speed 50WPM (Stage III). ▪ Office Practice stage II. ▪ 4 years relevant working experience. Responsible for the provision of high quality health services to staff, dependents and community in large. b) Administer medicines and drugs as prescribed by clinical officer /Medical Doctor and inform clinical officer whether over doses are prescribed. c) Provide community health education and sensitization on HIV/AIDS and individual health education to patient pertaining to their pathological significant. Also maintain the confidentiality of every individual case handled at dispensary. d) Provide vaccinations and first aid services to injury patients and maintain up to date inventory of all dispensary facilities and report in case of any damage. e) Order, receive, store and dispense drugs and other pharmaceutical and supervise dispensary cleanness and sterilize dispensary equipment. f) Assist Medical Doctor/Clinical Officer with examination and treatments of diseases and on compiling weekly and monthly reports needed by DMO and Plant Human Resources Officer. g) Provide professional care for patients, recovery, physical and wellbeing. ▪ Certificate in Nurse Midwife from a recognize Government institutions. ▪ At least four years (4) working experience in dispensary, Health Centre or Hospital. ▪ Must have good performance track record. ▪ Must demonstrate highest degree of integrity. ▪ Must be capable of delivering excellent results while working under pressure with tight deadlines. ▪ Must have good communication skills, creative and innovative. ▪ Must be Good team player. ▪ Must be proactive, self-driven and capable of working with minimal supervision. All Applications must be accompanied with a detailed curriculum vitae, copies of relevant certificates, testimonials and contacts of three referees. Application letters should clearly state the candidate’s name, secondary examination index number and year of examination appearing in the attached academic certificates. ALL APPLICATIONS MUST BE CHANNELED THROUGH CURRENT SUPERVISOR (HEAD OF WORK STATION). First appearance: 20th February, 2018. Applicants must include reliable phone numbers for effective communication. All Applicants who will not be invited for an interview should consider themselves unsuccessful. Please note that phone calls or any kind of soliciting for these positions by applicants or relatives will automatically lead to disqualification. ▪ Age limit: 30 years for technical jobs (Artisan) and 35 for others. REGIONS AND NORTH ZONE OFFICE.